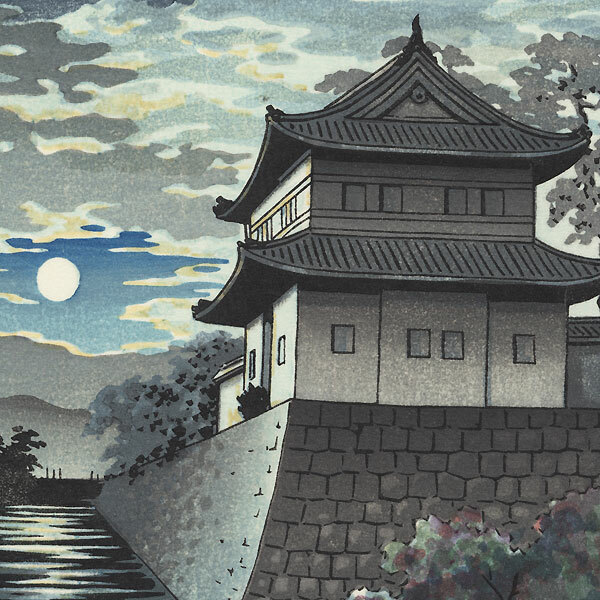 Comments - Lovely evening view of Nijo Castle in Kyoto, the tower beneath a beautiful sky dotted with clouds shaded in blue and gray and highlighted with moonlight. Leafy trees frame the moat below, with moonlight shimmering on the surface of the water. Wonderful handling of the light in this handsome design.